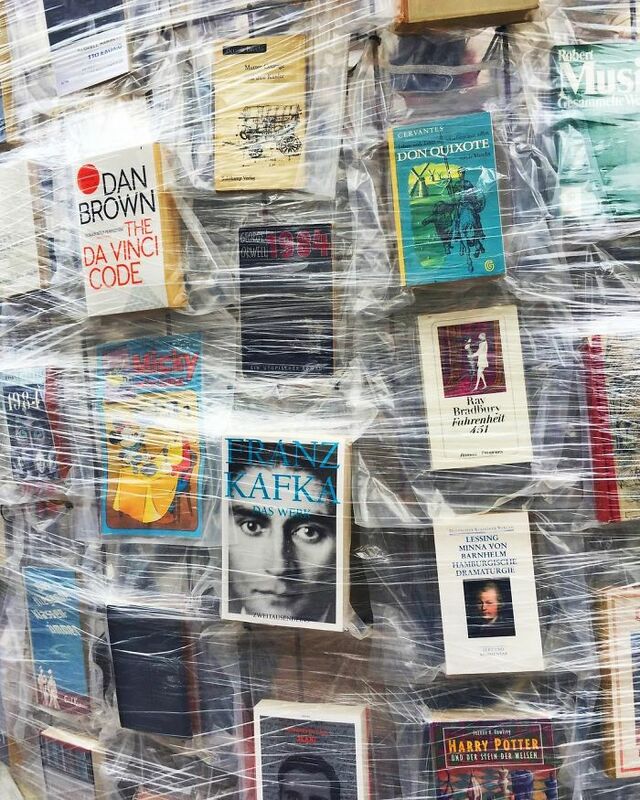 The practice of book-banning (not to mention book-burning) is one of the ugliest forms of censorship known to us, and, as history has repeatedly shown, serves often as an augury of much darker things. 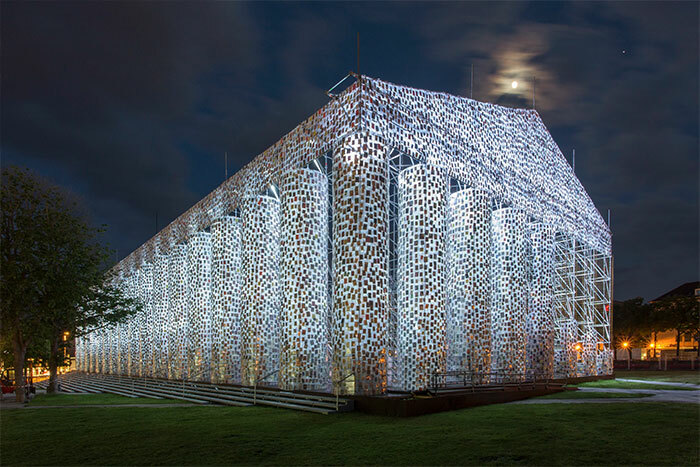 That’s why it’s always nice to see art fighting back. 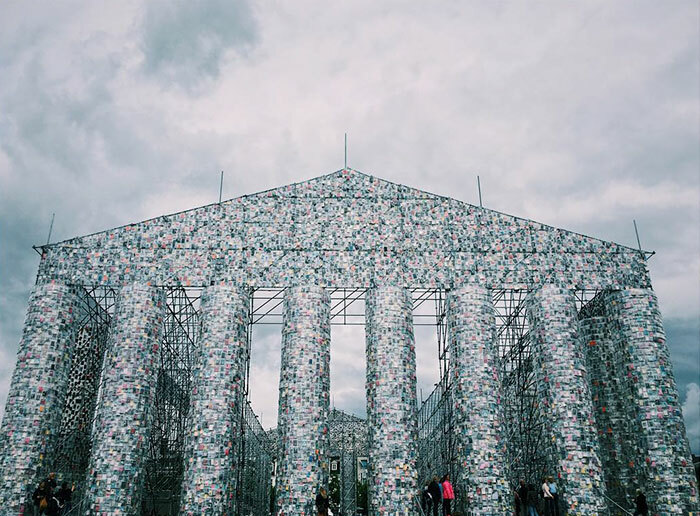 Enter Marta Minujín, a 74-year-old Argentinian artist and her colossal piece The Parthenon of Books. 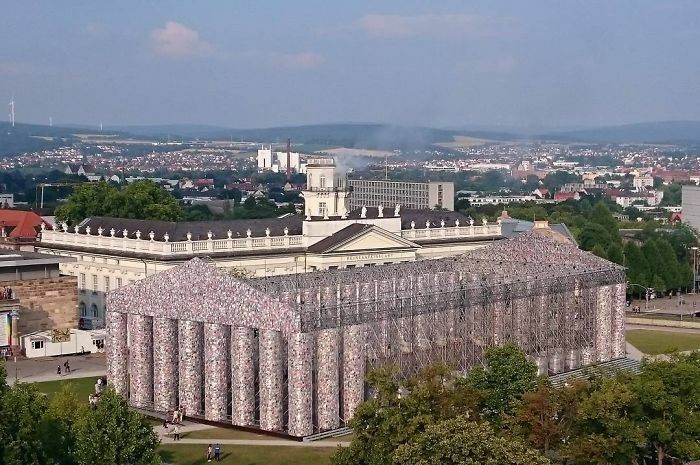 A replica of the Greek Parthenon, and created out of 100,000 copies of banned books, the work stands atop a historic site in Kassel, Germany, where the Third Reich burnt over 2,000 books as part of a larger campaign of censorship in 1933. 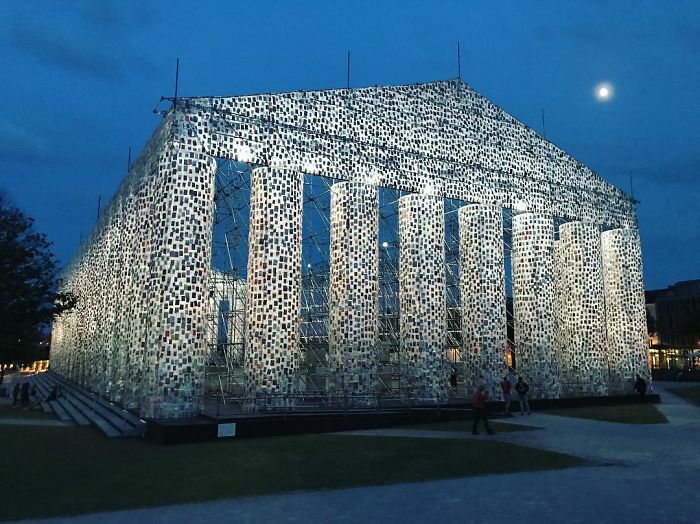 The Parthenon of Books is part of the Documenta 14 art festival, and was constructed with the aid of Kassel University students, who helped collect 170 works of literature from around the world, all of them having been banned (and some still being so) at one point or another in history. 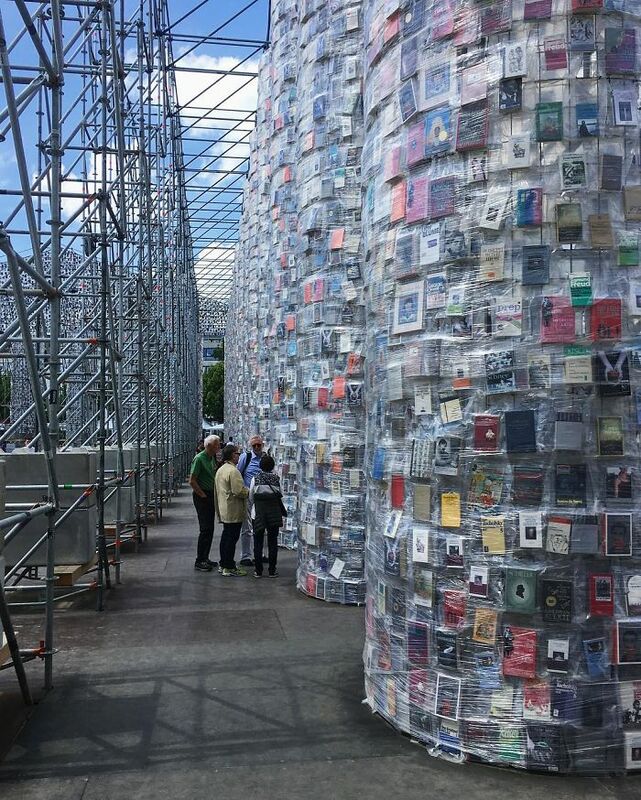 And the rest of it? 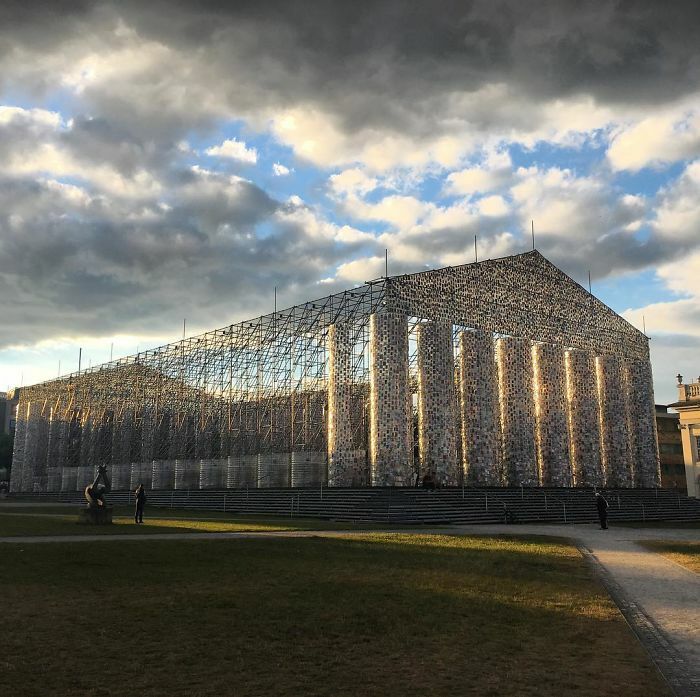 Polly sheeting and steel framework. Quite the achievement. 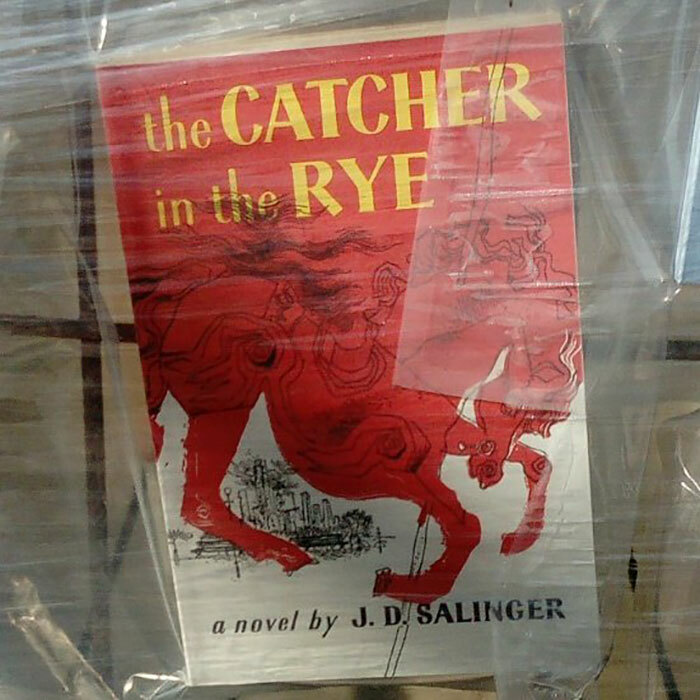 Here’s to the right to write, read & be read.